Alexey Stadler, cello. One of the finest young cellists of his generation and winner of the 2012 TONALi Grand Prix in Hamburg, Alexey Stadler’s 2016/17 season sees him appear in a number of high level engagements across Europe, performing with Deutsches Symphonie-Orchester Berlin, Athens State Orchestra, Riga Sinfonietta and Dalasinfonietta. He will be the Haydn Orchestra’s soloist on tour in Germany and Italy. Chamber music recitals lead him to The Mariinsky Theatre and the Menuhin Festival in Gstaad. He caused sensations in his recent debuts with San Francisco Symphony and Orchestra della Svizzera Italiana, both with Vladimir Ashkenazy, and the Tokyo Metropolitan Symphony Orchestra as well as the Young Philharmonic Orchestra Jerusalem Weimar, both under the baton of Michael Sanderling. Festival appearances included the International Chamber Music Festival Stavanger, St. Petersburg’s White Nights Festival and the Schleswig-Holstein Musik Festival. Alexey Stadler performs with orchestras such as Mariinsky Orchestra, St. Petersburg Philharmonic Orchestra, Czech Radio Symphony Orchestra and Irish Chamber Orchestra under renowned conductors such as Valery Gergiev, Vladimir Ashkenazy and Marek Janowski. A keen chamber musician, Alexey has played together with such musicians as Janine Jansen, Boris Brovtsyn, Akiko Suwanai, Maxim Rysanov, Torleif Thedéen, Jörg Widmann, Itamar Golan, Igor Levit, Ébène Quartet and Martin Grubinger and appeared in recitals and chamber music programmes at festivals such as Heidelberg Spring Festival, Schleswig-Holstein Musik Festival and Vinterfest. Alexey has received several awards including the national titles “Young Talent” (2008, 2009 and 2010) and “Hope of Russia” (2008, 2009). He recorded Rachmaninov’s Cello Sonata on an instrument by A. Jacout, which had once belonged to the Russian Emperor Nicholas II. In 2012 he took part in the Kronberg Academy’s “Chamber Music Connects the World” festival, where he performed with Gidon Kremer, Yuri Bashmet and Christian Tetzlaff. 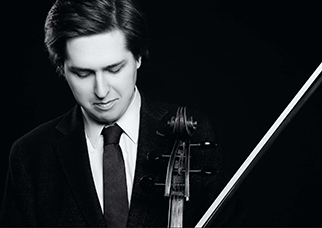 Born into a family of musicians, Alexey Stadler began to play the cello at the age of four. He began his studies with Alexey Lazko and continued his education at the Rimsky-Korsakov College of Music in St. Petersburg. He has participated in masterclasses with David Geringas, Frans Helmerson, Lynn Harrell, Steven Isserlis, András Schiff and Michael Sanderling. Alexey Stadler studied with Wolfgang Emanuel Schmidt at the Hochschule für Musik Franz Liszt in Weimar and had scholarships from the Oscar und Vera Ritter-Stiftung and Alfred Töpfer Stiftung in Hamburg. Alexey performs on a cello by David Tecchler dating from 1715.